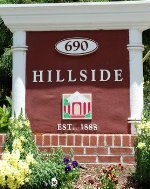 Hillside will provide quality, cost-effective treatment and education to severely emotionally disturbed children and their families. Services will be provided in the least restrictive environment possible in accordance with the needs of the patient. Our Residential Program, Treatment Fotster Care Program, and Community Intervention Program all keep focus on the strengths of our kids and therefore encourage the growth and improvement they need to become future self-sustaining citizens.